Our Digital Manufacturing research programme brings together expertise from across the IfM to support the development, integration and evaluation of next generation industrial digital capabilities. IfM provides both thought leadership and practical support to organisations who are addressing the challenges and opportunities of digitalisation. IfM is at the heart of the UK's leading ICT and life-science innovation cluster. There are more than 50 digital related projects currently running in the IfM. See the full list here. 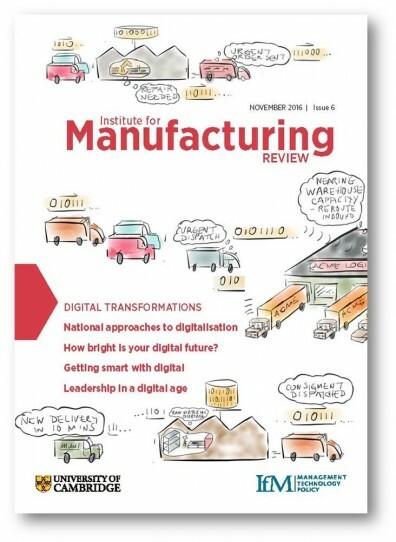 Read the IfM Review special issue on digital manufacturing here.